I have had a few very nice emails of readers asking me to tell them more about myself and make my site more personal. As many of you know, I started this off as a personal blog, but due to one rather derogatory comment, I stopped blogging about my life and daily happenings, and instead stuck to reviews, recipes, articles, editorials etc. I realized that one comment should affect me at all. For now, I will start a series of "A Few of My Favorite Things", which will be items (food, household, gadgets etc) that I absolutely love and cannot live with out. I figured that with Black Friday and Christmas around the corner, now would be the perfect time to recommend some items that I use regularly, stand behind and love! I, personally, appreciate when I have 'real people' feed-back, as opposed to advertising. I hope this helps and gives you guys some great ideas! 1. My Salter Mini Electronic Scale ! It is small and fits into my purse/gym bag. It is so convenient for when I am measuring out protein powder, Fibersmart, oatmeal etc. Great to take to restaurants, on vacation, to class etc. It is portable, discreet and weighs in 0.05g increments!! This is my 'baby' and I am attached to this more than I'd like to admit! I use this daily in my kitchen, whenever I am baking/cooking. It's fun to see how off certain food counts are (packaged food serving sizes) and it is invaluable for baking, cooking or just weighing food portions. 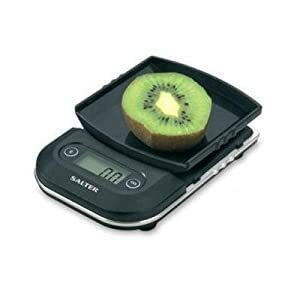 It calculates the calories as well. It weighs up to 3kg, and has tons of pre programmed foods in it. You can also program your own foods. This is invaluable for people with Diabetes, Hypertension (tracks sodium as well! ), pre-contest fitness athletes and athletes in general. This is the old-school model. They have the update which is sleeker and you can get it HERE>. It has about 1450 pre-stored Nutritional Values for foods, and you can enter about 100 of your own foods (protein powder, kabocha etc) 10yr warranty, comes with batteries, and even tracks GI loads! 3. I ADORE and highly recommend THE NINJA Master Prep Pro . It works just like the infomercial says it does (for once they didn't exaggerate) and really chops ice into snow! High quality, fast, effective- the perfect gift for ANYONE. College student, kid, teen, family, parent's, friends etc. It has 6 blades (3 on the top and 3 on the bottom base) so it doesn't leave anything un-blended, chopped, mixed etc. 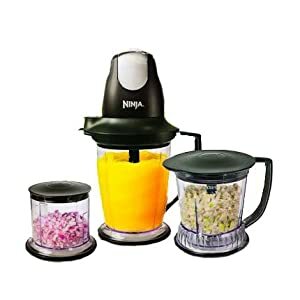 It doubles as a powerful food processor, chopper and ice crusher (that really delivers results)! This truly has been one of my best purchases and I highly recommend it! It makes everything- from chicken to salad! The Master Prep Pro has 2x the speed of the original, is more powerful, chops evenly and doesn't turn your salsa into mush! The BEST GIFT! 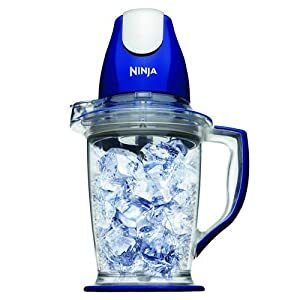 For those of you who want a simpler easy blender only, they also have THE NINJA original (which is FANTASTIC) and blends/mixes/crushes everything! 4. Magic Bullet ! 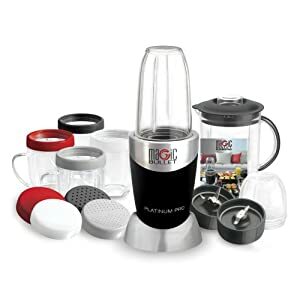 or if you really want a more powerful version, try the Magic Bullet Platinum Pro ! The Platinum Pro has 100 extra Watts and they really make a difference! Food doesn't get stuck, and it works way better than the original! I realize this seems along the same vein as #3, but options are good! The cups are blender itself are MUCH sturdier than the original, and crushes ice into snow really well (unlike the old, original Magic Bullet). 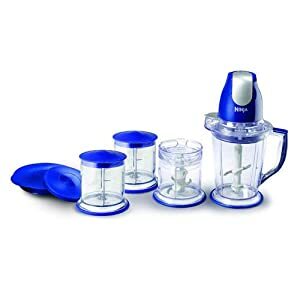 They also make the Bullet Express Food Processor /juicer, which makes chopping apples, tomatoes, cucumbers etc a breeze! It's a bigger machine, because it is a food processor primarily. Personally, I'd stick to the Platinum Pro. 5. VITAMIX !!! Love this!!!! This my friends, is the Bentley, Maserati, Lamborghini, Ferrari, Ashton Martin and Rolls Royce of Blender/Mixers. 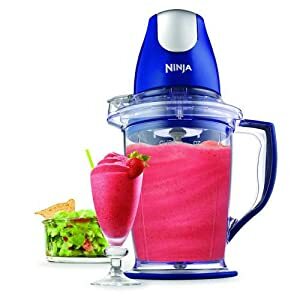 It does everything- makes ice cream, heats and makes soup (through friction, not heat which destroys enzymes), grinds flours (oat flour, wheat, coconut, garbanzo etc), makes Soy and Almond Milk, makes Nut Butters (peanut, almond, walnut, pecan, tahini etc- saves you so much money), smoothies, batters etc. It will pulverize anything! This is the ULTIMATE GIFT! They come in different models, and different versions (professional CIA, 4500 , red, black, platinum etc). I own the Platinum one. It really is one of those things that is 'too good to be true' but actually is even better than advertised. This supersedes all expectations! Perfect for anyone on any diet! Great for Raw Vegans, because it doesn't use heat in the conventional sense. All the enzymes are left intact, along with all the nutrients. You do not core/peel/chop anything. Just dump the fruit (ex apple) into it whole. Saves so much time! Great for baby food etc. GET THIS! IT IS LIFE CHANGING! I realize these have all been Kitchen Gadgets and appliances thus far. Next post I will delve into different categories, price points, and various other items! What about you guys? What are some gadgets you LOVE and cannot live without, or have come to depend on? Those scales sound awesome!! And I'm dying for a vitamix.. our blender is so loud and not that great, but I need to save up! 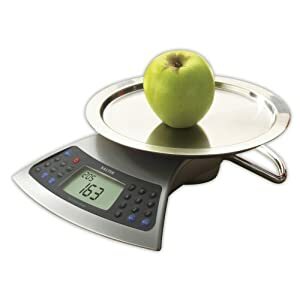 I really need a kitchen scale, but the one I want is so expensive. I love my vitamix to! 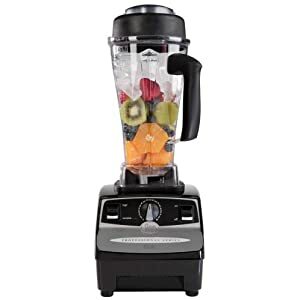 The Vitamix CIA Countertop Blender – Recommended and Used by Professionals. 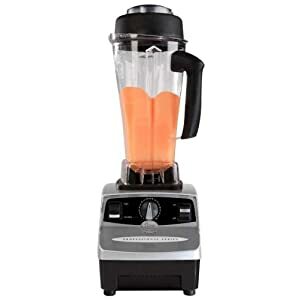 Get to know more about Vitamix; blenders and its CIA professional series.